[ Bookseller's catalogue. ] Literary Ladies of the Nineteenth Century. A Catalogue of Books: Autograph Letters: Illustrations: etc. Ian Hodgkins & Co. Ltd., Upper Vatch Mill, The Vatch, Slad, Stroud, Gloucestershire, GL6 7JY. Catalogue 81. Summer 1995. 40pp., 8vo. Stapled in printed wraps with illustration on front cover. In fair condition, somewhat aged and worn. Hodgkin was known for his meticulous catalouging, and 500 items are described, by a range of authors, both prominent and obscure, ranging from Grace Aguilar to Mrs Mary Wood-Allen. 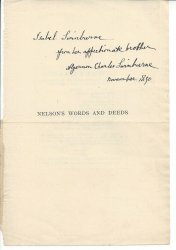 There are sub-sections for Louisa May Alcott, Elizabeth Barrett Browning, Fanny Burney, Jane Welsh Carlyle, Eliza Cook, Marie Corelli, Maria S. Cummins, Lady Elizabeth Eastlake, Maria Edgeworth, George Elliot, Mrs.
[Number Sixteen, New Series, 1930. ] H. Gray & Co. 188 Lewisham Road, London, S.E.13, and 8 Royal Parade, Blackheath, S.E.3. 24pp., 8vo. Pagination includes the wraps, which carry the last two pages. With frontispiece plate: 'Oscar Wilde | Unpublished Caricature | By Finch Mason | [item 31]'. In fair condition, on lightly-aged paper, in worn and chipped wraps. 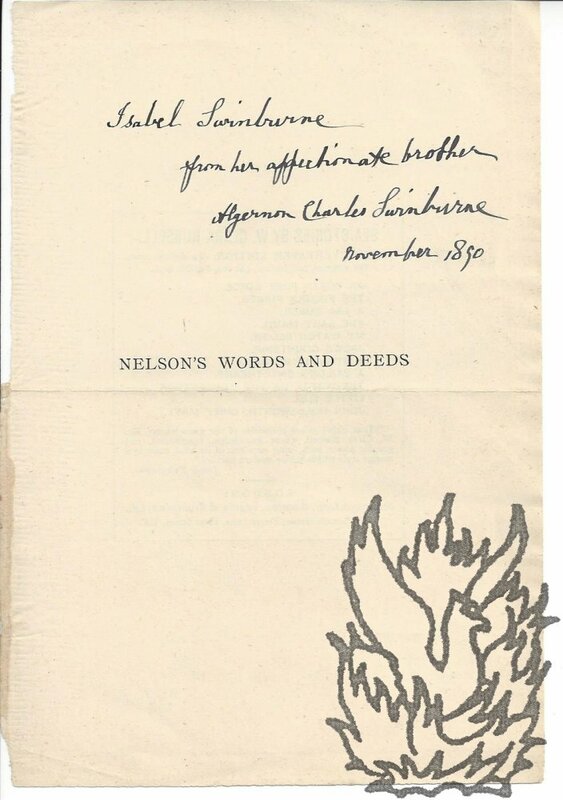 Wilde's name has been underlined in red pencil on cover. Upper Stamford Street (2) and the Strand (1), 19 April, 13 & 17 May 1845. Three Autograph Letters Signed, nine pages, 12mo, all bifoliums, fold marks, good condition. [April] Marked "Private & Confidential", he says he won't hold back on plain-speaking, going on to criticise Hewlett's last article as lacking the wit and humour of the 'celebrated author of Peter Priggins'. "I had no inclination to put such counterfeit coin in my magazine. At the same time I was anxious to secure the cooperation of one who could write [phrase underlined] as you have done;- [...] I quite agree ith you in the propriety of your desire 'to know the parties with whom you work'.